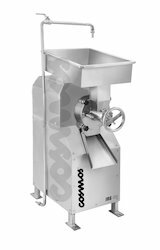 Pioneers in the industry, we offer Commercial Coconut Scrapper, Commercial Instant Rice Grinder, Commercial Multiutility Grinder, Commercial Wet Masala Grinder, Commercial Instant Wet Masala Grinders and Commercial Tilting Wet Grinder from India. Instant Masa la Grinder is a heavy duty machine ideal for grinding ginger garlic paste, masalas, chutneys, etc. Leveraging on our immense industry experience, we are offering our clients a qualitative assortment of Commercial Multiutility Grinder. 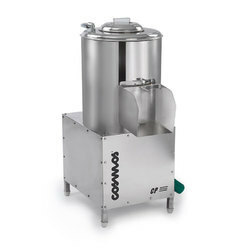 Offered grinder is widely demanded by the clients forits easy operation and low maintenance. This grinder is manufactured using high quality components by our skilled professionals in order to meet the quality standards. Additionally, this grinder is available at pocket friendly prices to the clients. Owing to our in-depth expertise of this domain, we have been able to provide the best quality Commercial Coconut Scrapper. These coconut scrappers are designed and developed using high grade material sourced from reliable vendors of the market. It is designed to be operated with hand and is made using optimum grade stainless steel. In order to cater to the varied requirements of our valued patrons, we have been offering these coconut scrappersin various sizes and specifications. 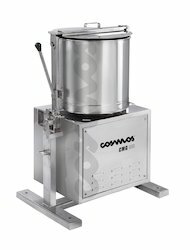 We are highly acclaimed name in the industry engrossed in offering the best quality Commercial Instant Rice Grinder. 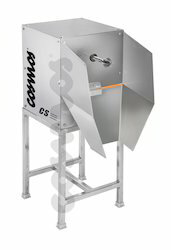 This rice grinderis manufactured at our up-to-date manufacturing unit under the guidance of our skilled professionals by utilizing supreme quality components with the help of cutting edge techniques. This rice grinder is highly demanded all over the nation for grinding rice with trouble free performance. 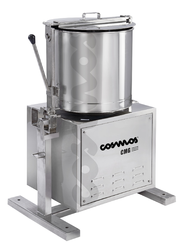 Moreover, the provided rice grinder can be availed from us at industrial leading rates. Fitted with 3 HP, 3 Phase Motor. 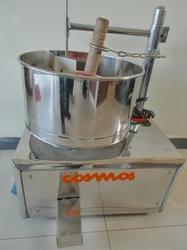 We are considered to be one of the most professional occupied in offering of Commercial Wet Masala Grinder. Implementing the most modern machines and high grade raw materials, our team is committed to manufacture high quality wet masala grinder. These are manufactured as per the norms and standards set by the industry and can be availed at very competitive prices. Wet Masala Grinder offered by our company is known for its strong built and sturdy design, durability and corrosion resistance features. We hold expertise in supplying and exporting high quality range of Conventional Grinder. These conventional grinders are perfect for grinding different cooking ingredients such as spices, meat, vegetables and many others. Our conventional grinders are able to provide even and excellent quality grinding of different substances. These conventional grinders are able to accommodate up to 5 litres in one turn. Our conventional grinders are available to our clients at very reasonable range of prices. Exclusive machine for peeling potatoes, carrots, beetroot, turnips and other root vegetables.It has a capacity of about 600 kg/hr according to product and size.Gentle peeling and low pressure on product. Motor 1.5 kW with thermal overload protection with 400V-50 Hz-3 phase.